Do you have a great website for your business, but are struggling with adding an online store? What if you could add an e-commerce platform to your site in five minutes, even while you’re vacationing poolside in the south of France? This summer, join over 1 million sellers in 175 countries by enhancing your website in minutes using Ecwid’s one-of-a-kind technology. Ecwid founder and CEO Ruslan Fazlyev is an e-commerce pioneer. In 2000, he co-founded X-Cart, the world’s first PHP e-commerce platform. After turning X-Cart into a successful business, Fazlyev tackled a new problem. He recognized the need of small business owners who wanted to add an online store to their already existing website. So in 2009, he started Ecwid. You can add an online store to your already existing site and continue to manage it anytime, anywhere in the world where there is an internet connection. Vashurina described how Ecwid makes it simple. 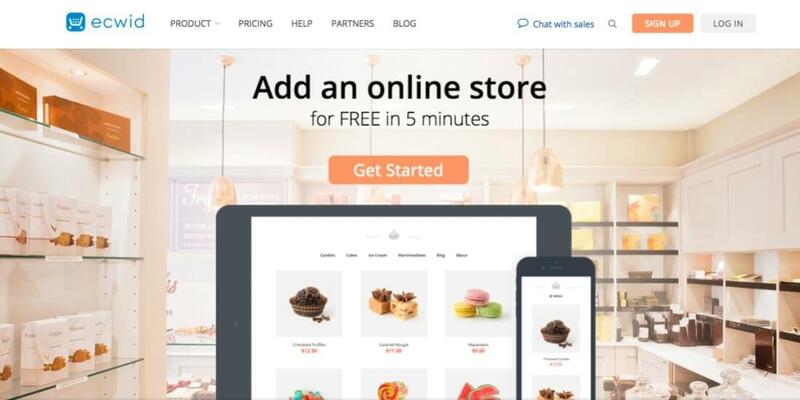 “Ecwid provides a store management mobile app, so if you are always on the go, you literally can run your e-commerce business from your smartphone – add products, edit, manage orders and all.” In addition, Ecwid’s merchants can request their own mobile app, called ShopApp. “Consumers can buy products from the merchant’s custom-branded mobile app.” Ecwid includes this feature with their Unlimited plans. If a business owner choses to expand their business to reach customers on a global scale, Vashurina said, “features like multi-currency, store multi language and different shipping options are a must.” Ecwid puts all this information at users’ fingertips, allowing them to create their perfectly customized online store quickly and easily…wherever they may be. Fazlyev hopes that Ecwid will continue to support e-commerce opportunities for business owners globally. The company is located in both San Diego, California and Ulyanovsk, Russia and Fazlyev says he is prepared to help new and growing businesses with their online stores. “We are constantly improving the product and partnering with brands, so clients have everything for convenient selling.” It’s all about helping them achieve their dreams, wherever they may be in the world.